Lecturio App: Learn anytime, anywhere | Try for free! 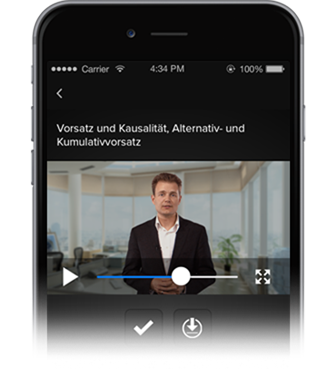 Create an easy and flexible learning experience on your iPhone and iPad and use your time on the go more effectively. Download the Lecturio App in the App Store for free today and enjoy! Entertaining individual learning and education: watch over 5,000 video courses – on your commute, in the park or during lunch! After downloading the app, you have to register or sign in with your existing Lecturio account. Your purchased courses and 800 free lectures are available at once. The Discover section presents all the Lecturio content that you can easily buy within the app. No matter on which device you are learning – through intelligent synchronization your learning progress is always up to date. Would you like to save data volume or do you have no mobile internet connection? 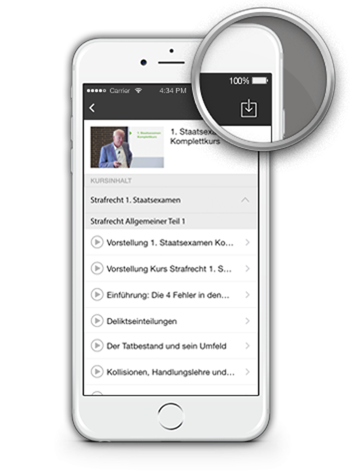 Just download the learning content in advance via WiFi and watch it on the go in offline mode. Every course consists of several lectures. These lectures again are divided into different chapters. The chapter overview enables you to switch between chapters easily without losing track. In full screen mode, you can fully focus on your studies, even when you are on the go. Repeat learning content as often as you want to – and if you would like to speed things up, simply click on the Player Speed Button!